Residents of the state of New Jersey, and indeed gambling fans across American, will be pleased to hear that internet gambling has moved a step closer to being a reality within the state. 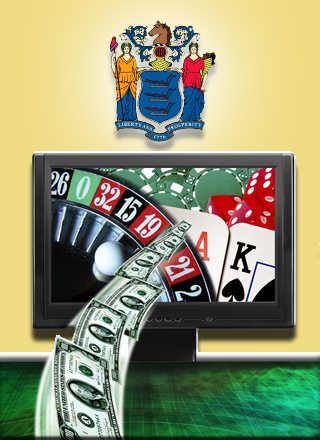 On Monday this week the Assembly approved a proposal which would allow casinos in Atlantic City to accept bets from the internet, not only from residents of the state but also from residents of other states as long as the activity is allowed by federal law. Now the proposal will go to the full Senate for consideration. However, a Senate vote has not yet been scheduled and could be a while coming. For a while now New Jersey has been trying to increase the types and amount of legalised gambling it offers, both on and offline. The state is also trying to move forward with sports betting, however, this is being held back at the moment by a federal lawsuit filed against the state by the major professional sports leagues and the NCAA. They are worried that legalised sports betting increases the risk of corruption within their respective sports. However, the approval of the latest proposals by the Assembly is definitely a step in the right direction.